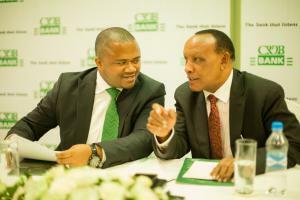 NAIROBI, NONE (INTERNATIONAL), KENYA, October 10, 2018 /EINPresswire.com/ -- Dar es Salaam Tanzania, Wed Oct’ 10, 2018 – Tanzania’s largest commercial bank CRDB Bank PLC has appointed Abdulmajid Mussa Nsekela as new CEO & Managing Director. Mr. Nsekela, 47, takes over from Dr. Charles Kimei, who proceeds on retirement, after more than two decades at the bank. “The banking industry today does not respect tradition - it only respects innovation. I strongly believe that this is a critical time for CRDB Bank to do more so as to thrive in this highly comepetitive environment,” he said.